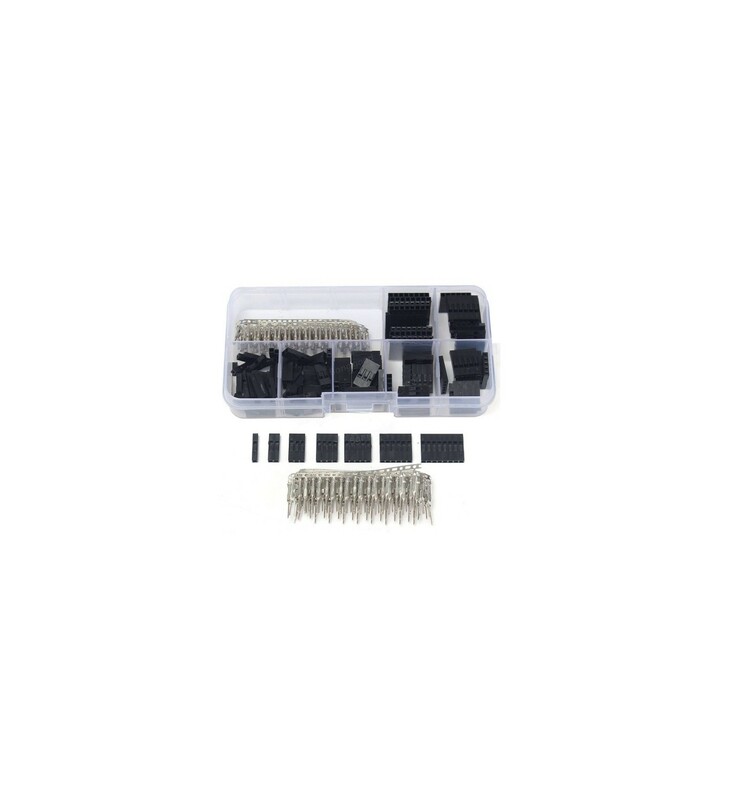 This 310pc SIL Connector Kit is a fantastic kit that includes all of the components you may need for prototyping or designing electronics, and includes quite a wide range of DuPont Cable pins and housings for creating semi-permanent jumper connections. It comes in a neat and tidy transparent box, with cubicles to keep all of the small parts separated and safe. This allows for quick and easy identification of the many different parts, while ensuring their safety as you take them with you on your travels. The kit includes male and female crimp pins, which crimp onto the ends of DuPont Cables or jumper wires, with housings that fit between 1 and 8 pins so that you can ultimately plug a set of jumper cables directly into Arduino or Raspberry Pi projects. This helps to reduce clutter while fortifying the design and making it more sturdy and durable, which is ideal for prototyping, or for when you want to turn your prototype into a more permanent design. 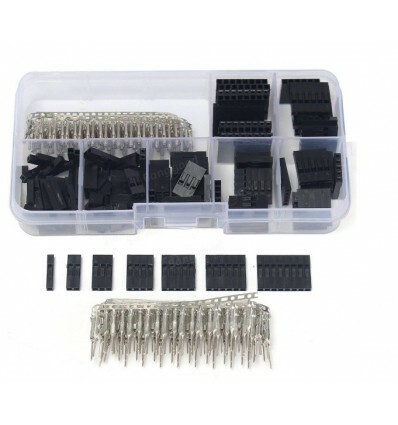 The 310pc SIL Connector Kit is most commonly used for prototyping and design, to help create semi-permanent designs before moving into the final stage of production. It is simple to use as long as you have suitable tools, and offers different housings to cater to your various needs. It is very useful for Arduino and Raspberry Pi projects, as these types of Development Boards often use SIL pins for quick and easy connections, making this kit a worthwhile investment if you often find yourself having to use jumpers for between 1 and 8 jumper wires between boards and components.